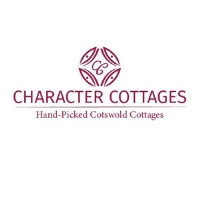 Character Cottages was founded in 2011 to create a distinctive, high-quality holiday lettings business. Our focus is on fabulous country homes, in beautiful towns and villages throughout the Cotswolds. As our name implies, we limit our premium portfolio to properties that exude character – exposed beams, period features, real fires and breath-taking views. Whether your chosen holiday home is in a primary market town or a picture-perfect village just down the road, we ensure that our guests get the privacy, peace and quiet they deserve on holiday, whilst being on the very doorstep of all that the Cotswolds has to offer. Our holiday cottages are carefully inspected by one of the Character Cottages team to ensure they meet our exacting standards in terms of location, layout, comfort, furnishings and facilities, ensuring your holiday is a special one.